So this week I came dangerously close to finally realizing my destiny as a star. 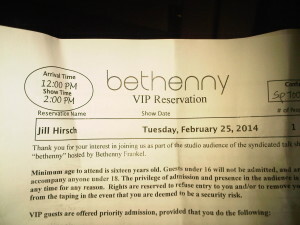 I am a huge Bethenny Frankel fan and I just happen to have a connection that got me tickets to a taping of her talk show, bethenny. I can now divulge that my connection is called the internet. Yep, I went online and put in for a ticket, then waited impatiently. When I received my confirmation email, I was able to volunteer to be a “participating” audience member; someone willing to stand up and opine about the topic of the day. Consider this: 1) I have an opinion on absolutely everything and 2) My opinion is the right opinion and 3) There are few things I love more in life than hearing the sound of my own voice in a microphone. So hell yes I volunteered! 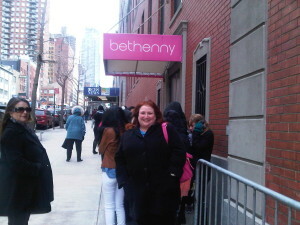 I was all set to head to NYC for the taping last Tuesday. On Monday night my phone rang, and it was one of the producers! He asked me if I was really willing to participate and I emphatically confirmed my interest. He told me about one of the topics and asked my opinion, which I promptly offered up. He once again asked if I was willing to speak during the taping and I assured him that, given a microphone and an audience, I would talk all day long. And with that I was upgraded to a VIP, priority ticket. In your face! Because I am so important, I only had to wait in the bitter cold for 45 minutes, as opposed to the 60 minutes the little people had to wait. I felt very special as I was one of a select handful of 40 or so VIPs. In my head I prepared for my big moment with Bethenny’s bedazzled microphone. I would be so articulate, insightful, warm and funny. Brilliant, really. And the producers would grab me after the show and offer me my very own talk show on the spot. Yep, all of that was swirling around in my head, proving that there’s not much going on up there because I have room for this whole fantasy. I guess all that might have happened, if Bethenny had ever called on me when I raised my hand and knocked over a couple of old ladies who were trying to steal my spotlight. But she didn’t call on me. So that was that and then it was over. 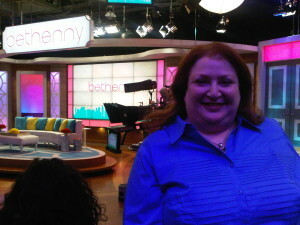 Despite the fact that I did not steal the show, it was a fun day and I enjoyed the taping. The show is airing today, Monday, March 3. You won’t see me making a comment but you might see a blur of me in the audience. I’m the one who looks very much like she has star potential. The good news is I am still completely available to anyone who wants to cast me in a show or movie or anything at all. Completely. Available. Call me. This entry was posted in Uncategorized and tagged Career, Celebrity, Imagination, Self, Television. Bookmark the permalink. Bummer as I would have loved to watch you take over the show and shine! 🙂 Their loss. Try again soon though! I think I need to hire you as my agent!! Sounds like fun. It’s pretty hard to get into these tapings to begin with. You should have jumped up on the stage anyway. How fun! What was the topic or who were the guests? Bethenny comes on twice each day in Chicago. I want be sure to catch the show you were on. The guest was Fran Drescher and the other topic du jour was “Sugar Babies” which surely had Betty Friedan rolling over in her grave. Young women dating rich older men for money. Sad that I never got a chance to get on my feminist high horse. 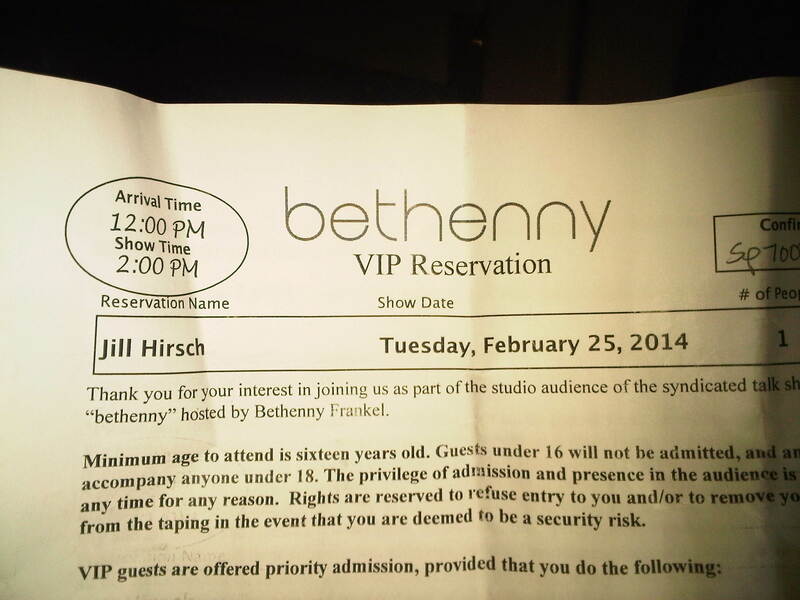 BUT, Bethenny actually kicked one of the guests off the show for being unbelievably rude!! High drama. I watched the show and while I don’t think I actually saw you, I know I felt your overwhelming presence in the audience. I’m sure once the producers figure out that incredible vibe was coming from you, they’ll call. Be ready! You should be a talent scout! You have a remarkable sixth sense for greatness. 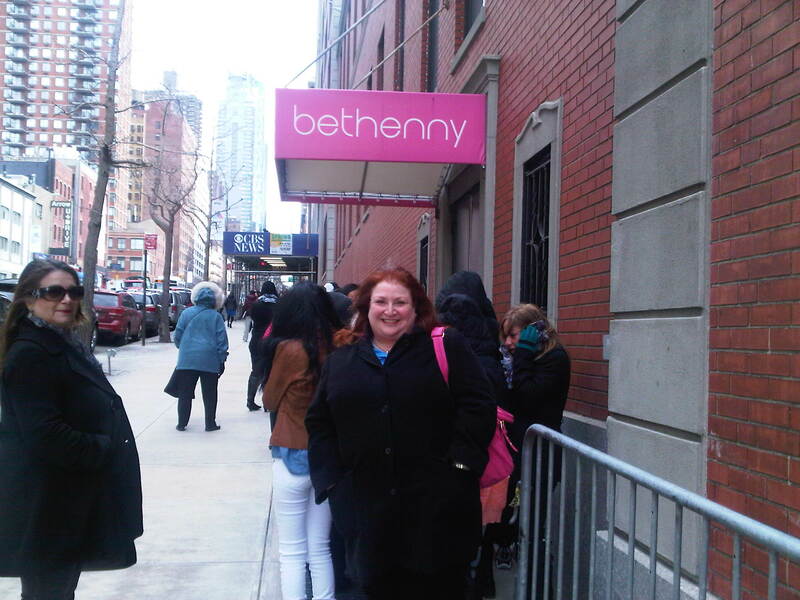 I got curious about other tapings and learned that SNL has a ticket LOTTERY every August. Sadly, my VIP status is null and void in the face of a random drawing. But who needs all of that? You and me, baby, The Jill and Beth Hour of Awesomeness. I feel like we would have just the right chemistry to be the poor girl’s Hoda and Kathy Lee. And with that said I need to find a job soon because I know way more about daytime TV than I should. Wow a lottery? I guess that doesn’t surprise me. YES to the Jill and Beth show! LOL we would be freakin’ hysterical. Very true. Perhaps we should air on cable? I will have my people call your people and work out the details. I love that you are ALWAYS on my side! Do not stop here! You would be great on any of those shows. If you can come up with a problem (come on, we all can) you can get on Dr. Phil! I did hear on that news that 3 elderly ladies were assaulted at a taping in NYC. I love the vote of confidence! My problem is…I’m desperate for fame! Someone should help me realize, in front of gazillions of viewers, that all the validation I need is right here in my heart. How’s that for BS? It was perfect; I was sitting next to a gay couple who were nonstop hilarious whispered commentary. We bonded, of course. It was actually an exciting episode as you’ll see. It’s being taped… Do you remember when i nearly showed oprah up on her show? I remember you leaving a little baby Aubrey behind and we were forced to kiss and play with her the whole time you were gone. Wait, what was that about you? This blog isn’t about you. Or Oprah. Although, I’d be happy to make it about Oprah if she wanted to promote my book. I digress. I have to watch!!! What time is it on? What channel? Um, can you tell I’m not a Bethenny babe like you are (and yes, you wore the perfect color for tv)..
It’s on Fox but it was pre-empted today for critical Snowmageddon coverage. Thank goodness we have a reporter standing outside to let us know it’s cold and snowing. So hard to tell by just looking out the window! A repeat will air tomorrow morning at 9 on channel 20, so I guess that’s when we’ll catch it! I cant believe you are on to my ways of diverting attention back to moi. It can’t always be about you Lisa, because it’s usually about me.